Well, 2013 is starting off with a bang for our monthly dinners! The February dinner table was full, menu turned out terrific, everyone had a fantastic evening. And as usual, the latest issue of Food and Wine was the inspiration. Nothing like completely revamping a menu just because you received a new magazine right? Sure it's the last minute. I'm not worried. I can do this. I need to stop doing that. Straight off of Pinterest came these little Cucumber roll appetizers. So in order to maintain my sanity, I decided to change it up a little bit and serve this appetizer two ways. The second version was much more user friendly and did wonders for my psyche. I did roll maybe a dozen of the little bites above before deciding to use the toast. Not even really sure what to call these. I guess calling them 'cucumber bites' will do - for now. After the cucumber craziness was a little puff pastry bite with a creamy Brie and chive spread. This little salad came next. 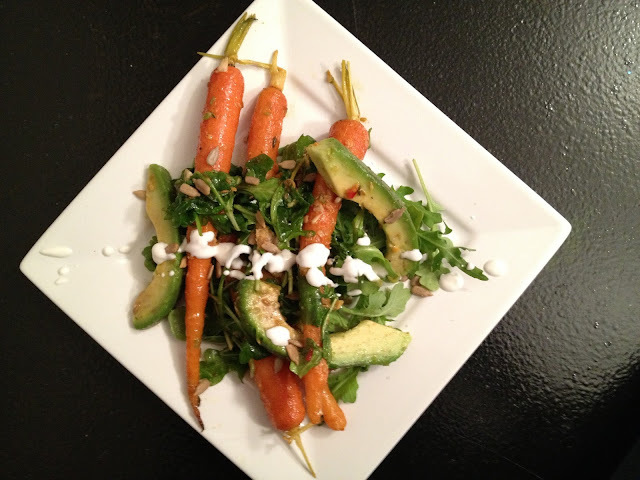 Roasted carrot and avocado with a spicy citrus dressing. Main course was spiced chicken with a coconut caramel sauce and a fresh pineapple and grapefruit salsa. 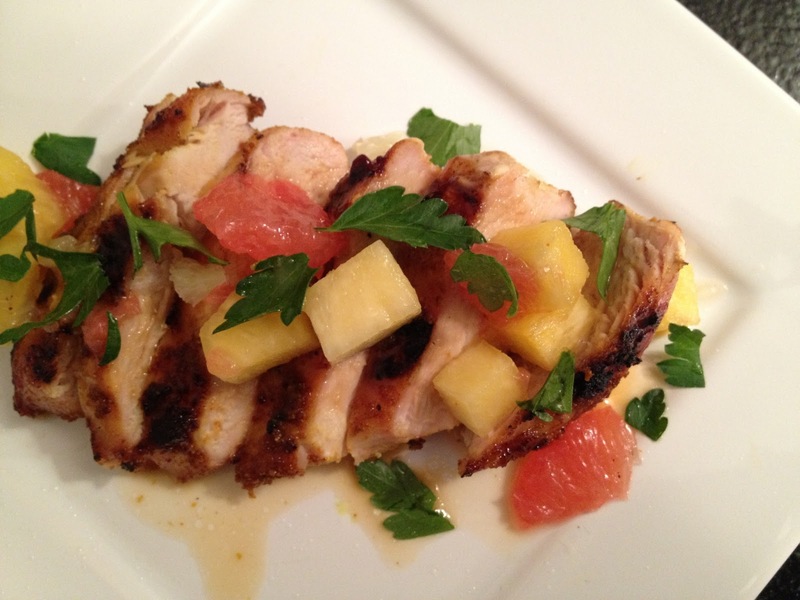 March issue of Food and Wine - make this! There were lemon cheesecake bars with lemon curd and confectioners sugar. Then a dark chocolate mousse served with a raspberry coulis and fresh berries. You think everyone was full? I will get recipes for most of the dishes up on this blog soon.